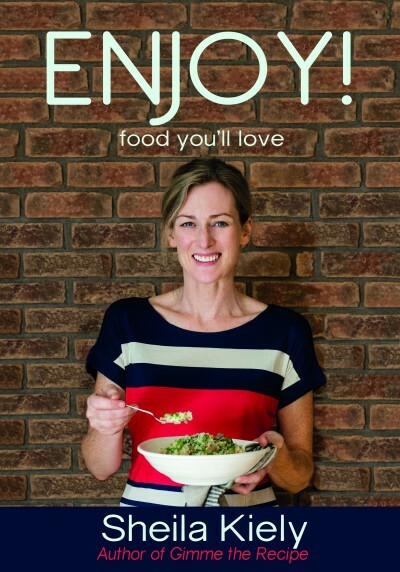 I love discovering new food products and the innovativeness of Irish producers never ceases to amaze me. 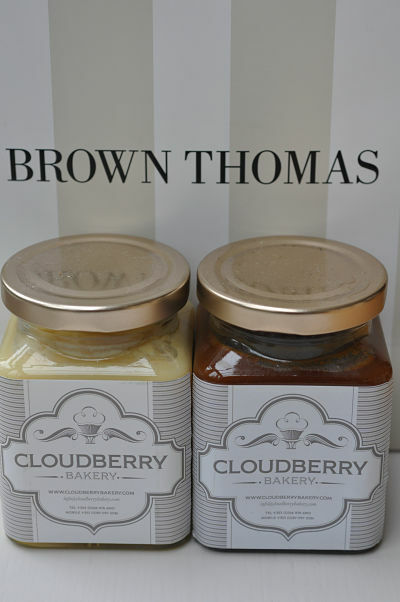 I recently came across some of The Cloudberry Bakery’s produce at one of my favourite shopping haunts – Brown Thomas in Cork city. Cloudberry’s stand in the Brown Thomas Food Emporium stopped me in my tracks, had me intaking my breath and dreamily sighing. Beautiful. 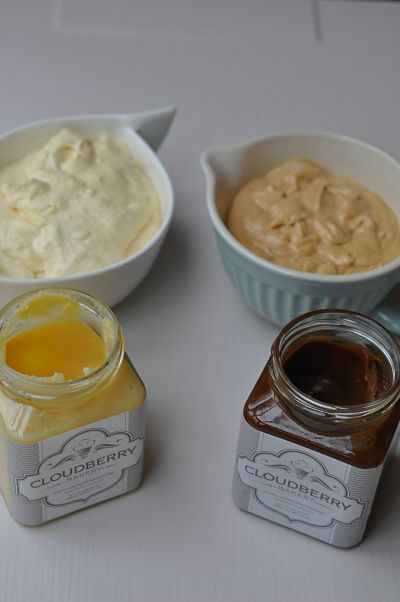 If you’d like to get a feel for their brand and products you can check out The Cloudberry Bakery by clicking here. In the meantime let me tell you about the two products that I tried out – Lemon Curd and Sea-Salted Caramel. Besides eating them by the spoonful or simply spreading on some shortbread I could also imagine them as the perfect companion to some delicious vanilla ice-cream. 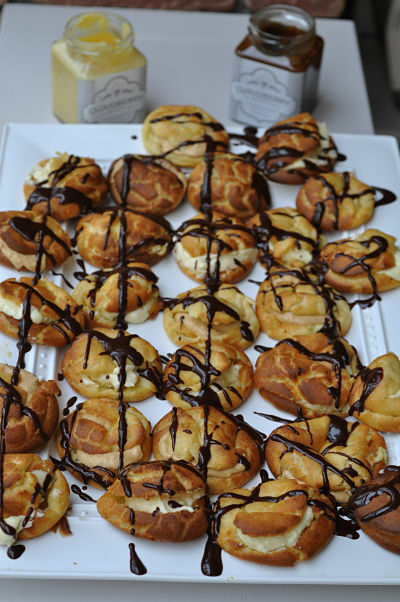 However I decided to take a few spoonfuls of each to up the ante on some choux buns that I think would be a delicious Christmas dessert. 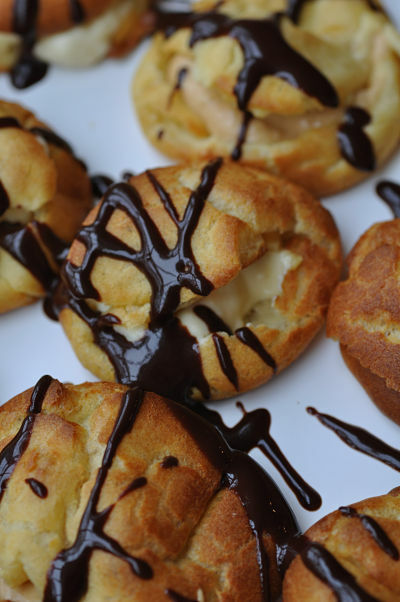 If you made the choux buns a day or two beforehand, made sure to release the steam and cool them properly before storing them in an airtight container they could then be simply filled on the day with the Cloudberry flavoured pastry cream which you could also make the day before. These were delicious and my kids particularly loved the Lemon Curd flavoured ones. Makes 14-18 depending on size. Preheat the fan oven to 180C/Gas Mark 6. Line 2 or 3 baking trays with parchment paper. Place the butter in a saucepan with the water and put it on the hob to melt. Once melted bring to the boil and take it off the heat. Stir the water and butter in the saucepan with a wooden spoon in one hand as you add in the flour with the other hand beating continuously until smooth. At this stage you should have a smooth soft pastry ball. Lightly beat the two eggs in a bowl. Add one third of the egg to the pastry and beat with a wooden spoon. It will seem to separate and collapse but keep beating until it begins to stiffen up again. Add the next third of egg and again beat until the pastry is back to a stiffened mixture and do the same with the remaining egg. Spoon small blobs of the pastry onto the baking sheets, spaced well apart. 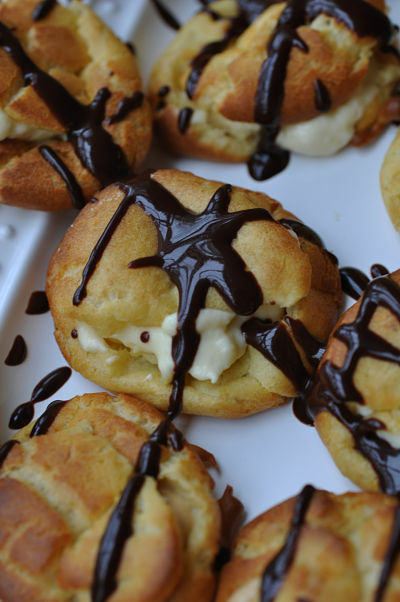 Use no more than half a tablespoon and you should get 18 -20 small choux buns out of this quantity, you may wish to go bigger. Place in the oven and bake at this temperature for 15 minutes, then raise the temperature to 200/Gas Mark 7 for 10 minutes. As soon as they are out of the oven cut a slit in the side to release the steam, otherwise they will collapse. Allow to cool on wire rack. This is more of a custard than a cream and takes a little bit of diligence, care and attention to avoid lumps, the end result is worth it. Bring the milk and vanilla extract to the boil in a saucepan and take off the heat. Use an electric mixer to cream together the eggs, caster sugar and flour. Gradually add the hot vanilla milk into the egg, sugar and flour in the electric mixer. Pour the mixture back into the saucepan and bring back to the boil stirring continuously to form smooth thick custard like cream. Do not allow to stick to bottom of pan. Pour the pastry cream into a bowl and sprinkle the top with caster sugar to prevent a skin forming. Once the pastry cream is cool, beat the whipping cream until beginning to stiffen and then fold this in with a spoon along with a couple of tablespoons of Cloudberry lemon curd or sea-salted caramel. Taste and increase flavouring if necessary. Break the chocolate into pieces and melt in a saucepan with the water. Keeping the saucepan on the heat stir in the sugar until dissolved, mixing well. Simmer the sauce for 10 minutes until thick and glossy but still a drizzling consistency – keep stirring occasionally as it simmers. 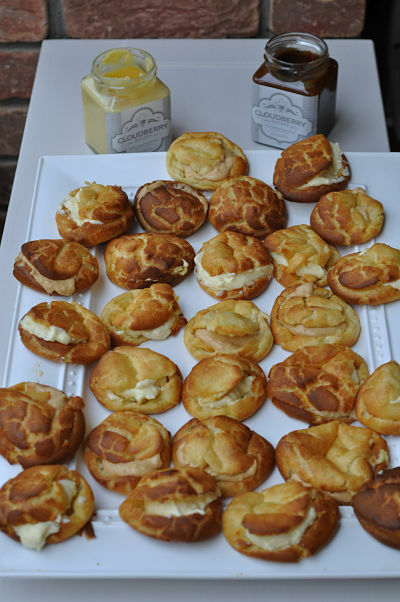 To assemble the choux buns carefully fill the cooled choux buns with either lemon curd or sea-salted caramel flavoured pastry cream. Drizzle over the chocolate sauce. 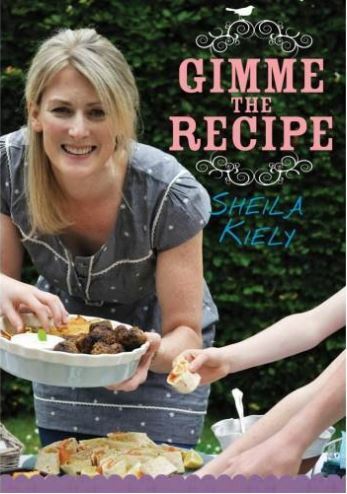 These look excellent Sheila. You have reminded me that I have a parcel of actual cloudberries in my freezer. My Norwegian sister brought them over about 6 weeks ago. They had a record harvest up around Trondheim. Now all I need to do is think of something to cook with them.